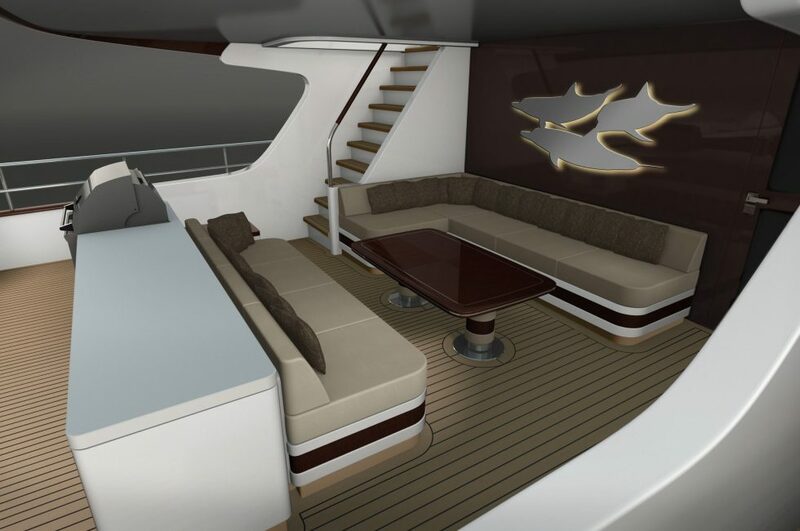 The Selene 128 Ocean Explorer Yacht is the result of an international collaboration of designers and architects under Howard Chen’s design team leadership. 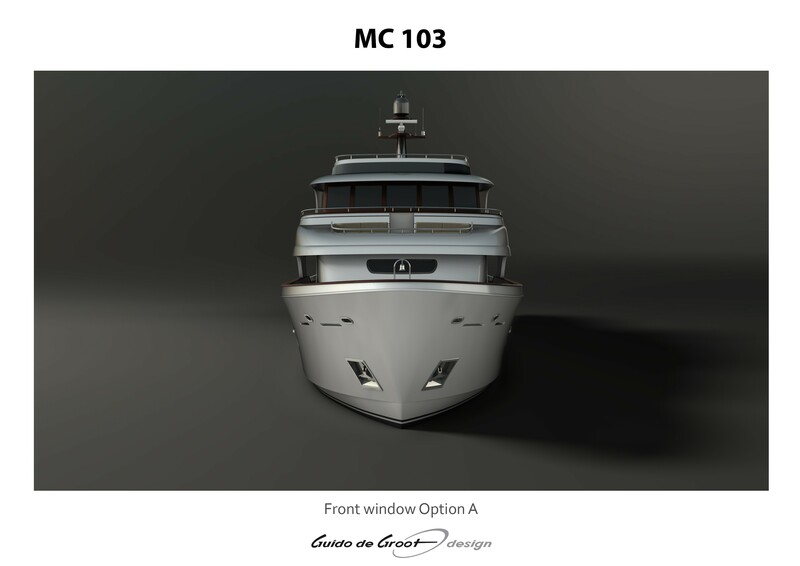 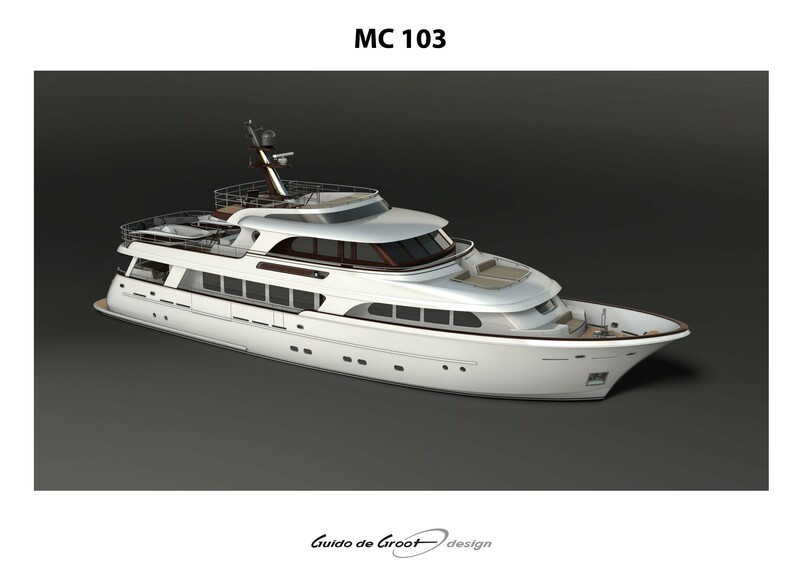 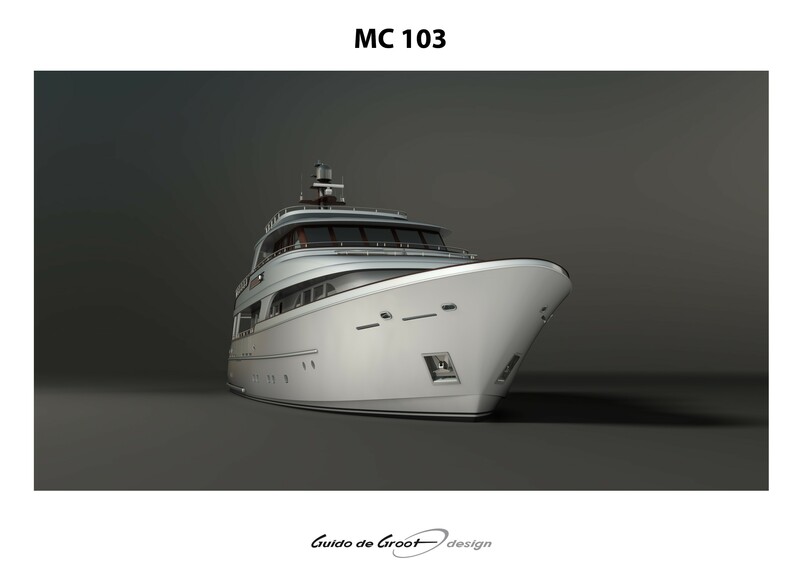 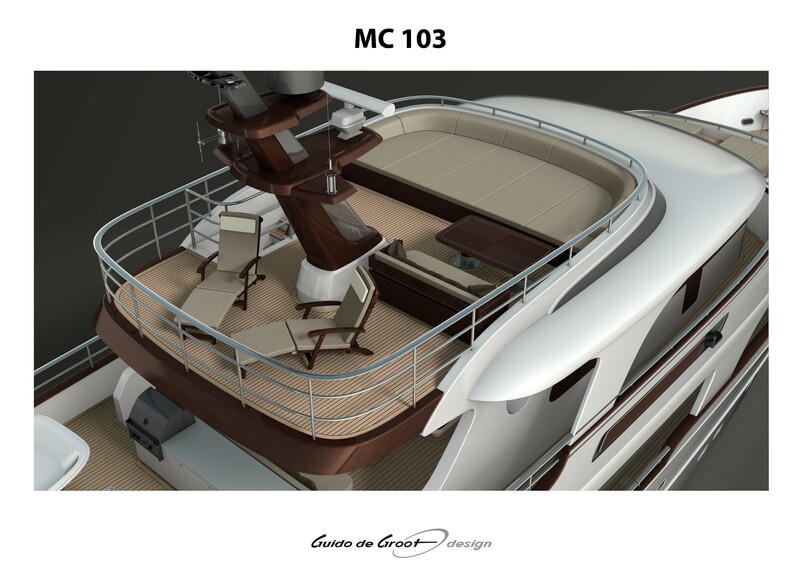 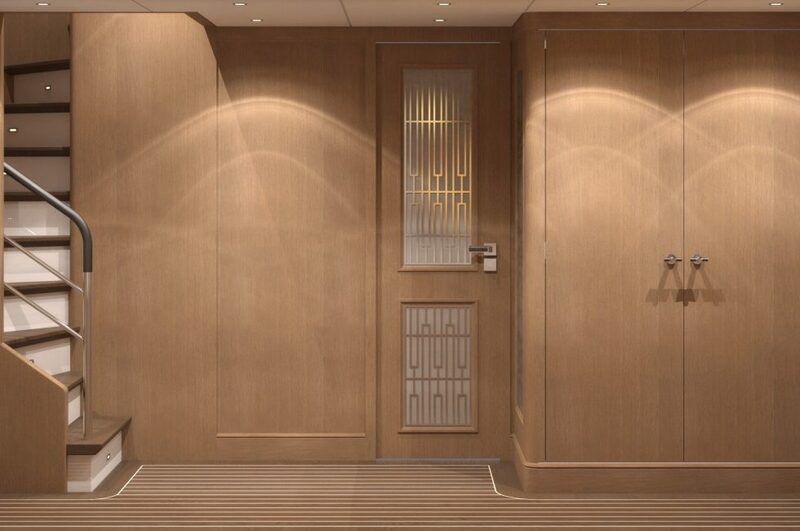 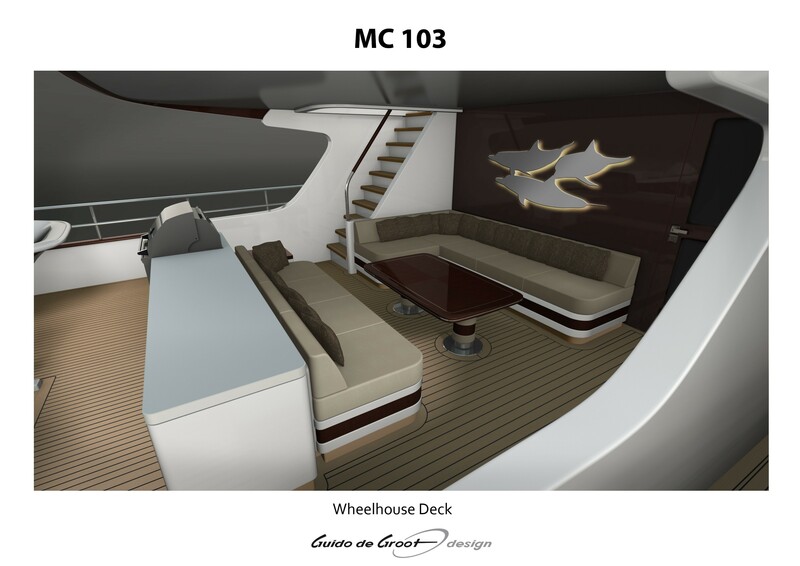 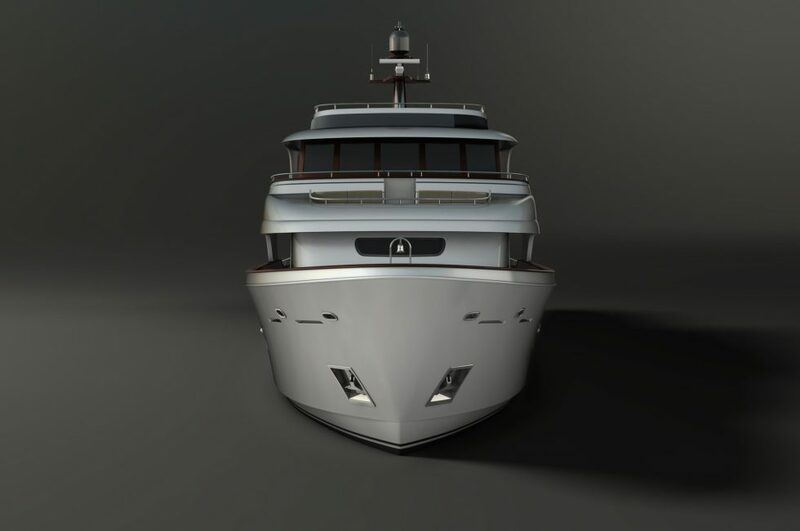 Working with renowned Dutch architect Guido De Groot we have developed a contemporary long range yacht whilst capitalizing on our quality construction and reputation for experience and innovation in the displacement yacht sector. 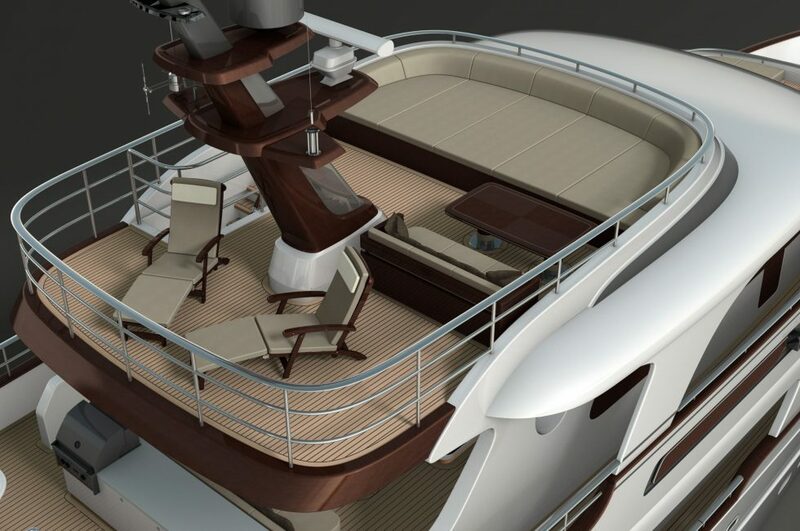 A first look at the Selene 128 show a number of the Selene family traits with a powerful raised pilothouse, Portuguese bridge, and bulbous bow. 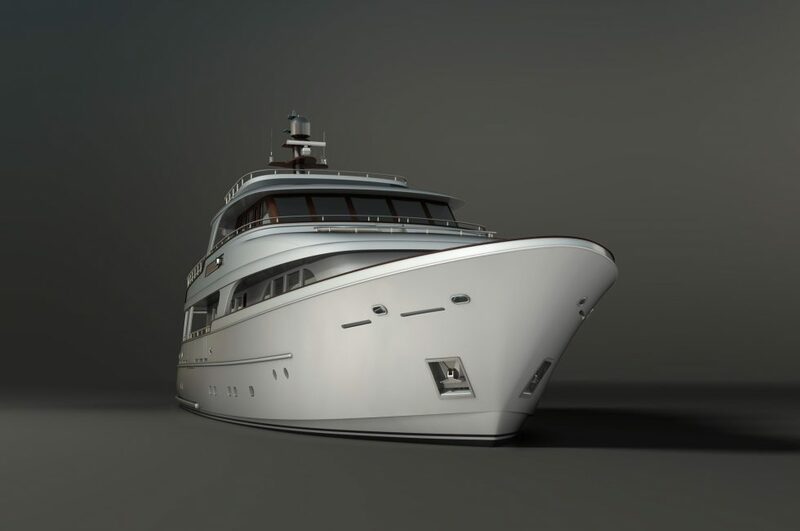 But a contemporary twist is also apparent in the addition of the large side windows in the hull and stainless anchor pockets. 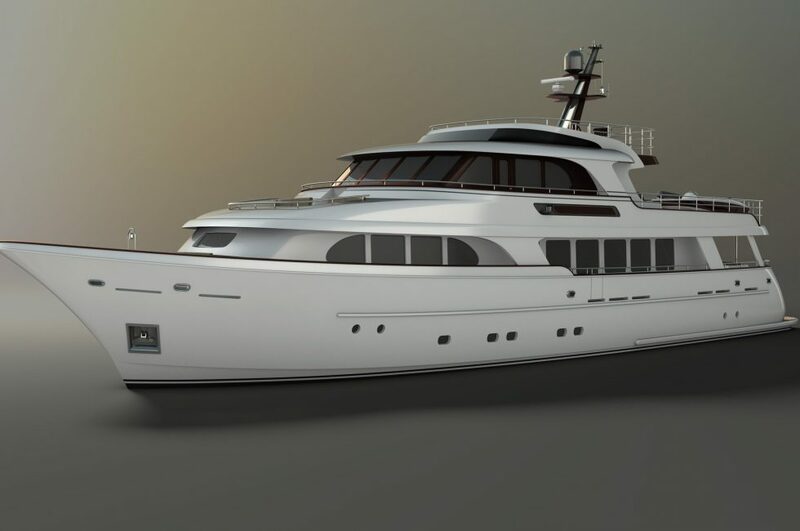 This yachts is sure to appeal to existing owners and big boat enthusiasts alike and takes the simple and proven concept of the fuel efficient and seaworthy long range yacht to a new level of luxury that is intended to compete directly with the finest European yards, but with all of the advantages of GRP. 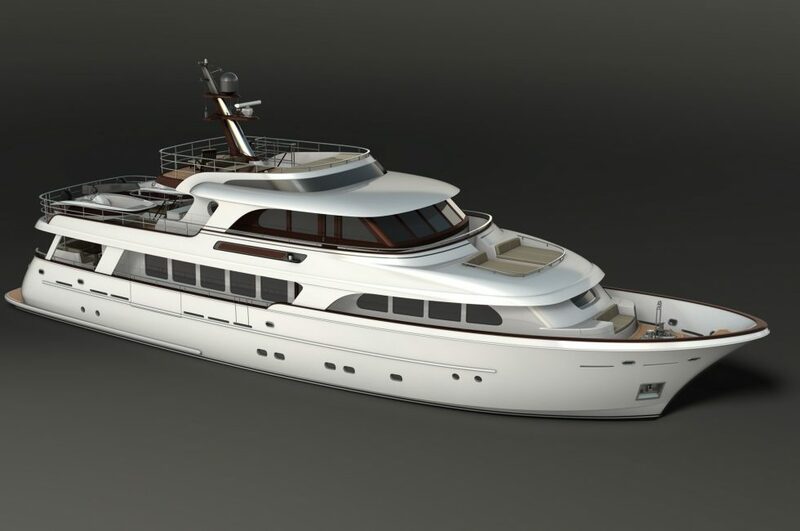 Equipped with twin 1400HP MTU engines , the Selene 128 carry more than 49 000 litres of fuel giving enough range to get to reach the Marquesas from the West coast of the United States. 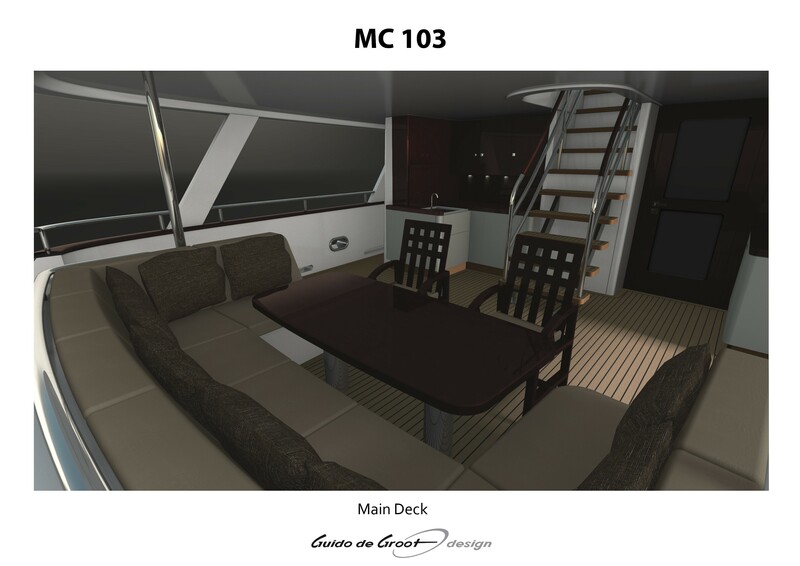 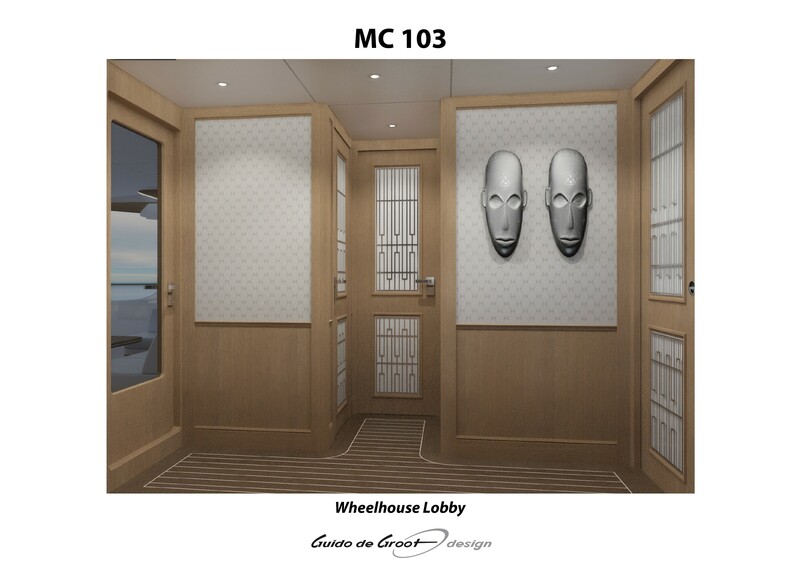 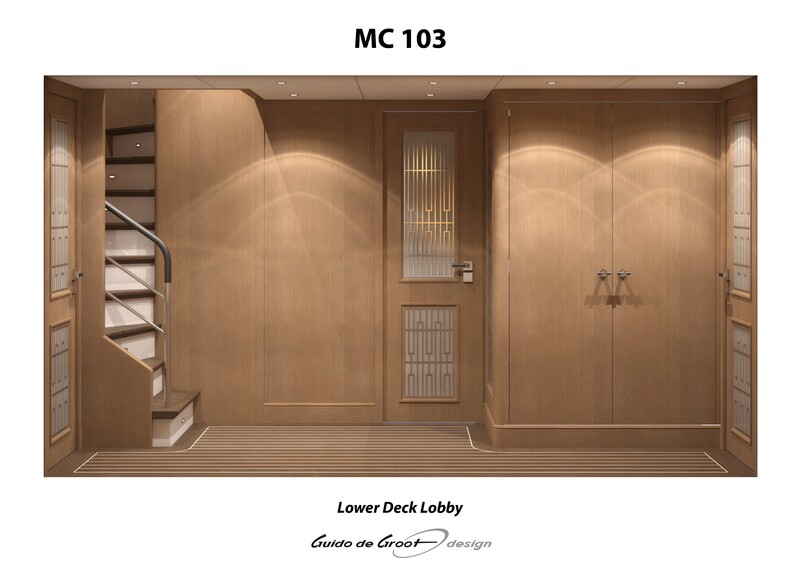 What is catching eyes is an unusual combination of modern styling and vibes and the capabilities of an ocean cruiser. 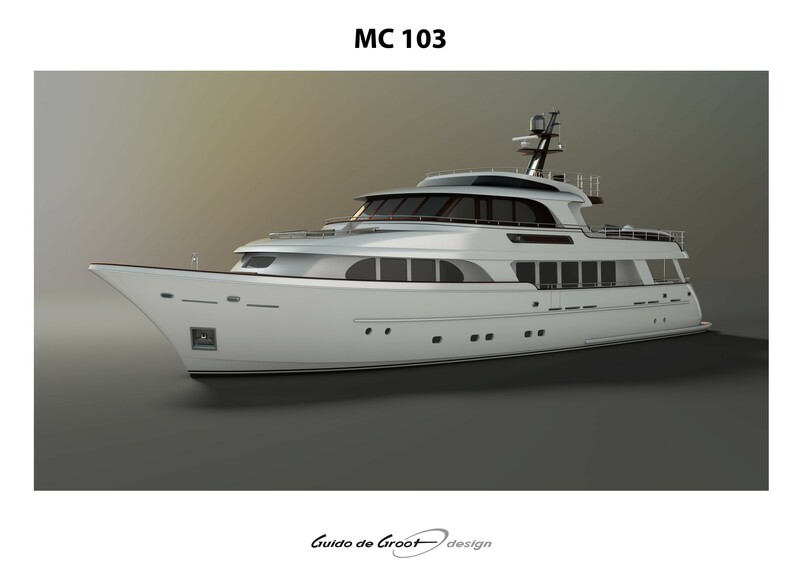 Where most explorers are tall, square and blunt, the Selene 128 Expedition Yacht is graceful and curvaceous. 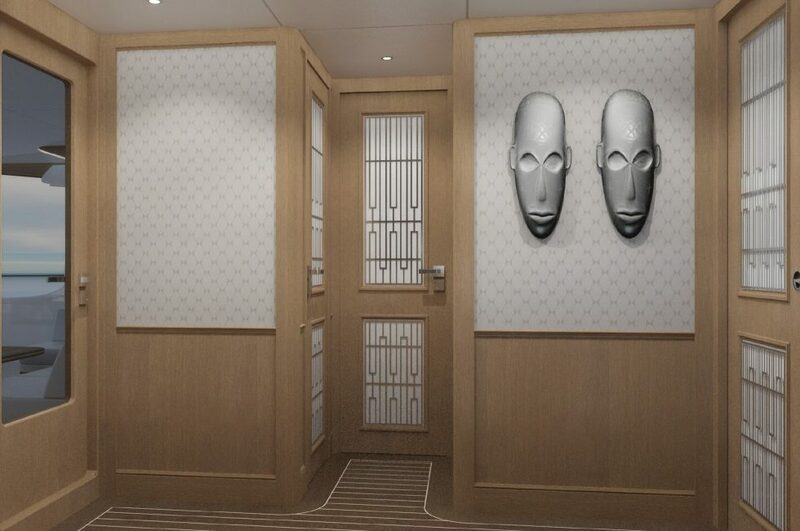 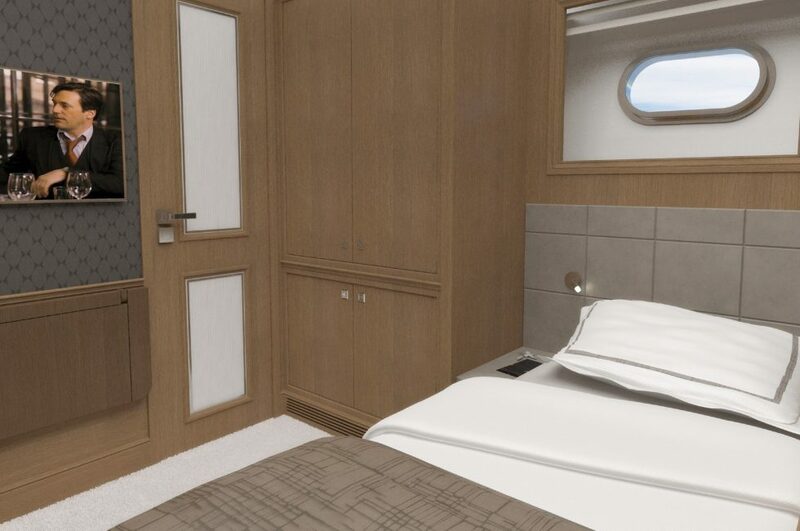 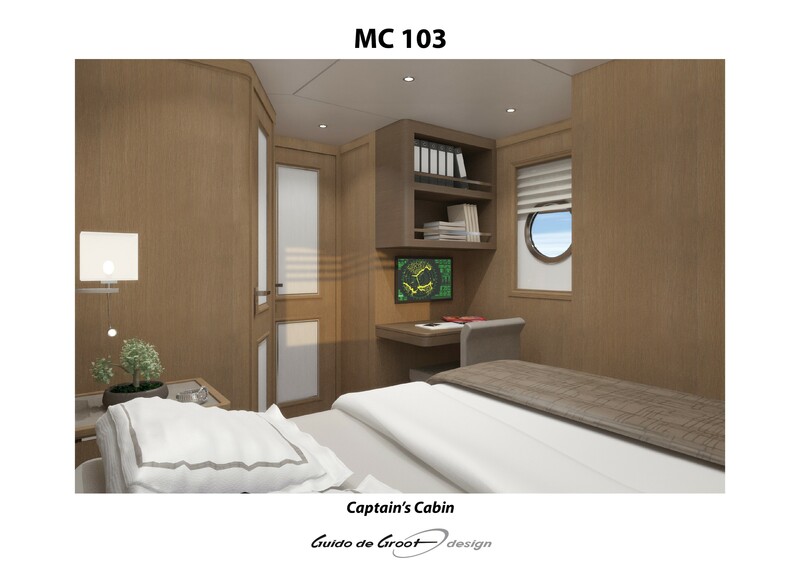 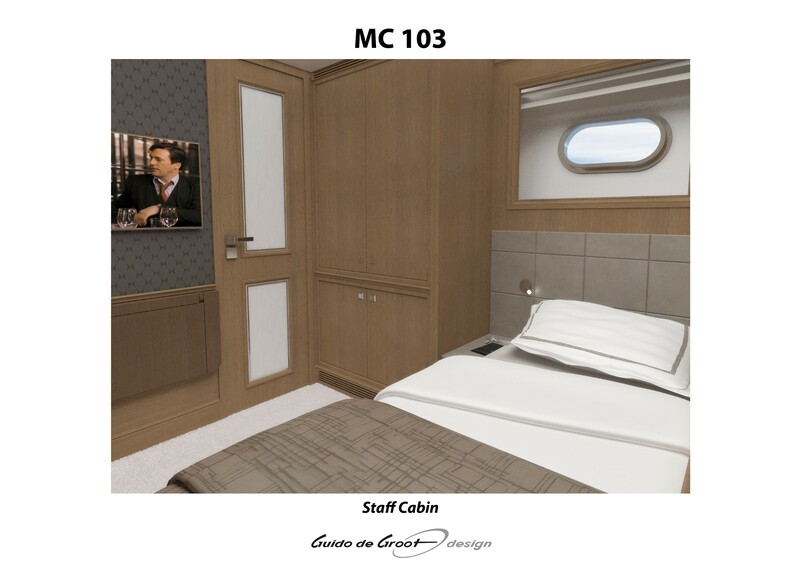 The Selene 128 has five staterooms; four guest cabins and a full-beam owner’s cabin on the main deck, a laundry room and a crew area with four cabins for ten and a mess area. 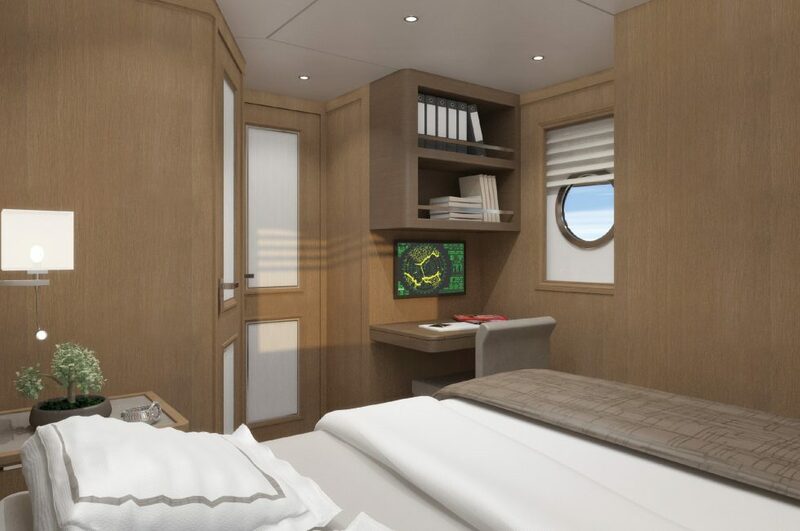 On the upper deck, the Selene 128 Expedition yacht has space for the wheel house with a large settee, a captain’s cabin with private head, a ship’s office and a large sky lounge with its private aft deck. 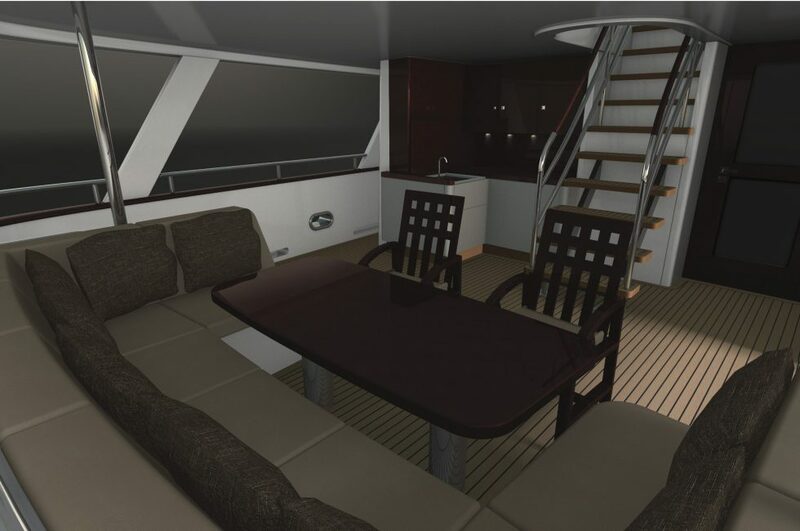 In November 2017, her smaller sister, the Selene 92 was listed by Southern Boating as one of the « Top Ten Long Range Cruisers ».